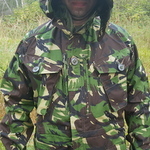 Un updated version of previous windproof smocks, this garment boasts improved features over previous designs. 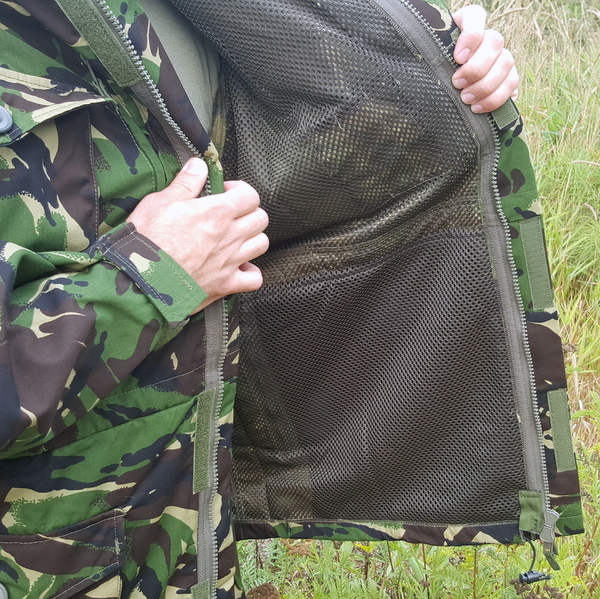 The tough Poly Cotton blend fabric is strong yet lightweight. 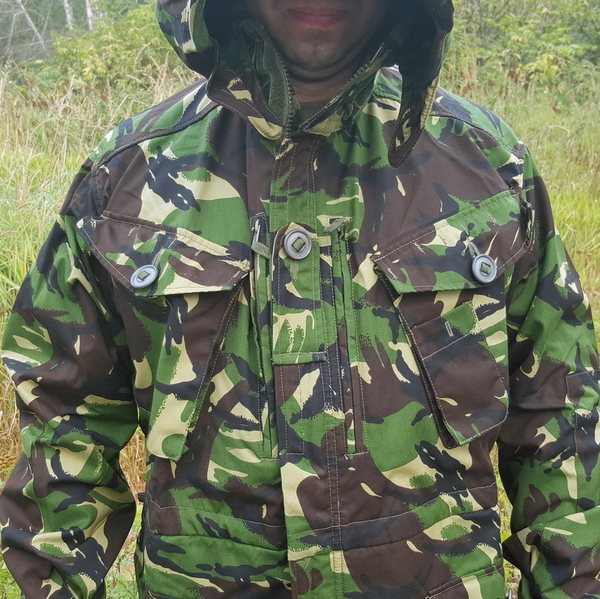 The classic British DPM camouflage is infrared reflectant of course and the body of the jacket is lined with an olive green mesh fabric for heat retention in cold weather and air movement in warmer months. 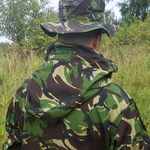 An attached hood is provided for cold and wet weather protection which utilises a draw cord and cord locks for adjustment. 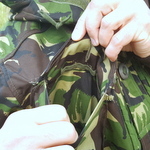 It can be rolled up and secured in place when not in use by a cotton loop and small rear button. 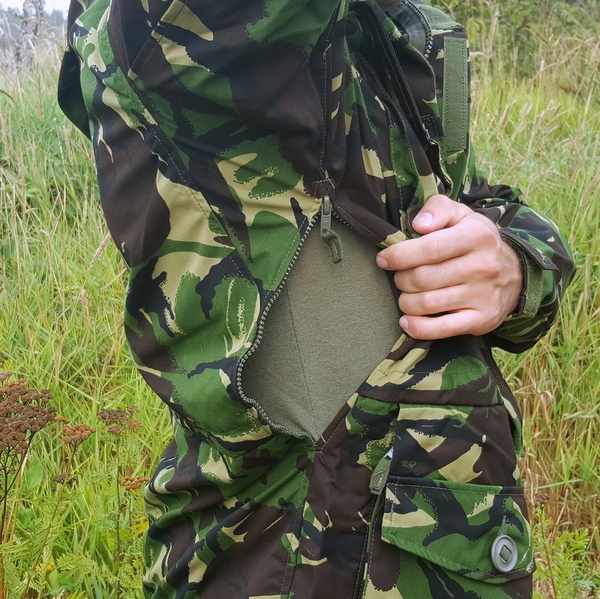 The 4 expandable pockets at the front plus 2 vertical zip closure chest map pockets each with pen pockets inside give space for small items which can be secured to sewn-in loops on the chest pocket closure flaps. 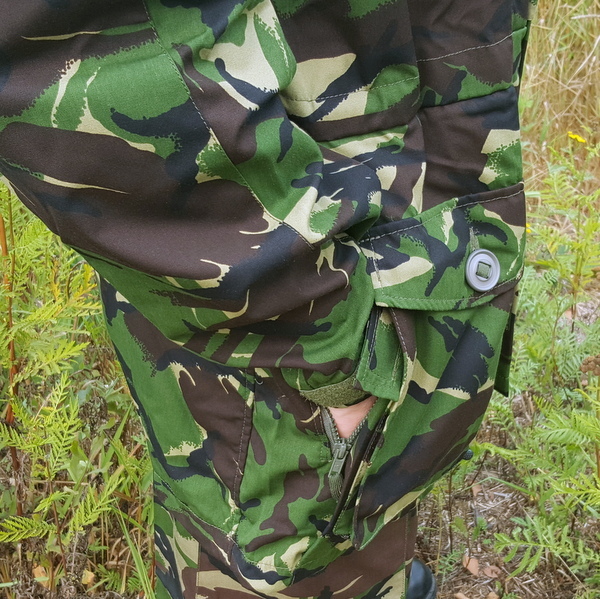 The lower, button flap pockets have fleece lined hand warmer pockets sewn in benind them, closed with zips when not in use. A single compass pocket is provided on the chest pocket for quick access to navigation aids with a button hole for attachment to prevent loss. Underarm ventilation is provided on these smocks with 2 way zips for effective adjustment. 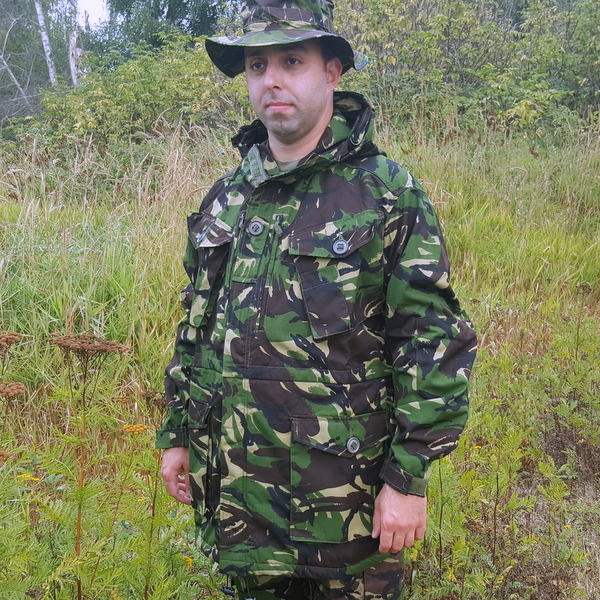 This is an outstanding field jacket, combining comfort with rugged functionality. Suitable for the civilian outdoorsman as well as those operationally deployed. 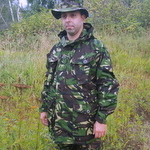 These garments are in new, unissued condition.